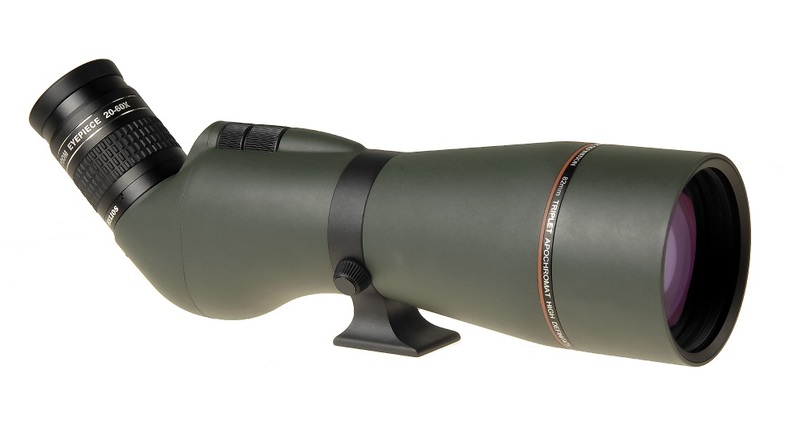 The new top of the range Helios Fieldmaster ED82DS spotting scope is perfect for the most discerning birdwatcher and nature observer. This high-end instrument features a triplet objective lens which provides a highly corrected image and exceptional optical performance, even to the edge of the field. Two Exotic ED (Extra-low dispersion) lens elements are employed in its construction, which virtually eliminate chromatic aberrations, and deliver high-fidelity true-colour images. Features high quality BaK-4 Prisms. Optics are fully broadband multi-coated throughout for maximum light transmission and contrast. Features a precision 4:1 ratio dual-speed focuser for exceptional focusing accuracy. The stylish spotting scope body is constructed from robust but lightweight magnesium alloy, with a sliding dewshield/sun shade. Fully waterproof and nitrogen-filled for clear, fog-free viewing. Supplied with a 20-60x zoom eyepiece, constructed from 8 lens elements, provides a generous 19.5-18mm of eye relief and is suitable for use with or without spectacles. Supplied with quality Stay-on case.